Established in 1996, InterCasino was the first online casino in the world to take a bet. With over 21 years of experience in the industry, InterCasino caters for a player base of over 2 million, who have shared payouts of over &dollar;20 billion! But for a casino with such a long pedigree, InterCasino still has a remarkably fresh feel. By choosing a number of software providers, rather than just one, Inter has kept itself right at the forefront of the casino industry. Not wishing to limit their offering to players, Inter offer over 700 desktop games (including 400+ mobile games) from 30 of the best hand-picked providers. Inter offer two playing experiences - a traditional Random Number (RNG) online casino or two excellent Live Casinos. In the case of the RNG casino, Inter welcomes new players - and rewards loyalty - with a range of generous and inventive bonuses and promotions, including the excellent InterVIP invitation-only exclusive members's club. The Live Casino is provided by two excellent suppliers - Evolution Gaming and NetEnt - to ensure the closest possible experience to playing in a real casino from the comfort of your own home! The main focus in the RNG casino is on Slots, where Inter offer over 170 of every type, including Jackpot Games and Micro Limit games such as Cubis. But they also have a great selection of card games, table games and video poker. Inter is a completely Instant Play casino, so there's no need to download any software. And many of the games are available in Practice mode, so you can play for free, without making a deposit or even having to register! Inter uses the slick Amaya Game Office, which includes software from a number of major suppliers, includng CryptoLogic Amaya (Chartwell), Aristocrat, Novomatic and Betsoft. This wide variety of games is a big part of Inter's unique look and feel. A small downside to the game selection is the fact that Inter do not offer Sic Bo or Keno. But they make up for that by offering different versions of other games. For example, they have 14 Blackjack games, 15 different Roulette varieties and also offer Punto Banco - the Asian version of Baccarat. Recognising the rising popularity of Live Dealer casino games, InterCasino now offers its players Live versions of the most popuar table games. Unusually, InterCasino use two different suppliers for their live feeds, but they've chosen two of the best - Evolution Gaming and NetEnt. They make these games available to players via two different feeds - Casino Cosmopolitan and Casino Paris. Casino Cosmopolitan offers the Evolution games. Evolution has TV studios in both Latvia and Malta, from where their services and games are operated. They provide eight games, each one is live 24/7/365 in multiple languages. Evolution Live Casino offers a high level of professionalism and the quality of the games is exemplary. Casino Paris is operated by NetEnt, another great choice of provider. Launched in 2013, their games are very high quality and used by many other Live Casinos. NetEnt Live offers Roulette and Blackjack, both standard and Common Draw. 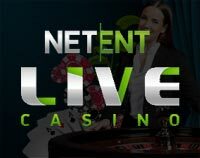 The games are streamed from NetEnt's live dealer studio in Malta and live dealer chat is available. NetEnt Live was designed from the outset to be a game changer. Knowing that players get tired of lagging video feeds and out of sync audio, NetEnt has implemented the best possible technology to give you an experience as close to a real casino as you can find online. For full details of these bonus offers, read here. InterCasino reward long term loyalty via the InterVIP program. Membership of this gives players exclusive privileges, which range from enhanced bonuses to luxury trips around the world. Entry to InterVIP is by invitation only and is based on your level and style of play. Membership status is reviewed monthly, along with offers provided and associated privileges. But if you're one of the privileged elite, InterVIP truly goes above and beyond any other online VIP offering, providing for a new dimension of exclusivity. Each player gets their own personal Account Manager who ensures first class services around the clock. You can expect invitations to attend some of the most renowned events around the world, as well as exclusive promotions, enhanced casino offerings and much more. Recent VIP events include a trip to the Monaco Grand Prix (including helicopters across the harbour, and the perfect view of F1’s most prestigious race!) and all-expense-paid trip to New York, and an exclusive trip to the Dubai World Cup Carnival in the United Arab Emirates. InterCasino is licensed by the Malta Gaming Authority (MGA), the UK Gambling Commission (UKGC) and the Danish Gaming Authority (DGA). Inter's parent company, Jackpotjoy PLC, is also listed on the London Stock Exchange (LSE). They operate in an environment of strict local gambling guidelines and rules, offering the best in data privacy and confidentiality, security of transactions, a wide selection of deposit methods, fast payments, all of which encompass fairness, regulation and Responsible Gaming. Their commitment to fair play and responsibility is demonstrated by the fact that Inter donates yearly to Gambling Aware – a UK-based gambling support group - and provide various measures for players to have complete control over their account, including personal limits on deposits, losses, logins and playing time. To guarantee that every card dealt and every spin generated within the casino is generated fairly, their random number generator is verified and endorsed by external gaming associates: Gaming Laboratories International (GLI) and NMi Gaming. Inter advertise 24/7 Live Chat. To test whether it was a genuine 24/7 operation, we logged on at 0220 GMT on a Thursday morning! At some casinos, 'Live Chat' is anything but, with an obviously automated 'Support bot' trying to push the latest bonuses. But in Inter's case, we got straight through to a very helpful, clearly human operator called Matt. We asked a number of awkward questions about depositing and withdrawing, which he answered quickly and accurately. We then asked about Live Dealer Blackjack and the availability of tables and seats. Again, his answers were quick and honest - even admitting at one point that he wasn't sure. Having a genuine 24/7 human Support desk is absolutely vital in ensuring Customer satisfaction and trust, and Inter score 5/5 in this respect. The banking options at InterCasino are slightly limited when compared to some of our other casinos, but the nine options available include VISA and Mastercard, and webwallets including Neteller, Paypal and Skrill. Deposit limits are unlimited (i.e. no max and min) and all banking at InterCasino is free of charge. InterCasino uses Ecash - one of the most trusted e-commerce applications in the world, having securely processed &dollar;11billion of electronic transactions to more than 240 countries. On your first withdrawal, you need to prove your identity via any national ID, such as a passport or drivers licence. This is a one-time verification, after which you can then continue to withdraw normally. After logging in, all information sent to and from InterCasino is encrypted using 256-bit Secure Socket Layer (SSL) technology. For your security, credit card details are secure, encrypted and never stored on their systems – they are submitted directly to their payment processors over the encrypted channel. 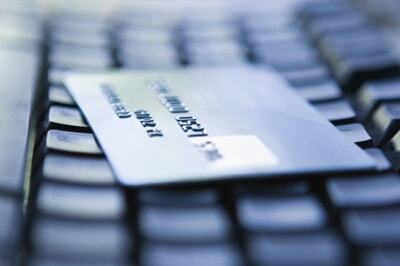 InterCasino only stores a 'token' which we use to reference your card for future transactions. InterCasino has been around for over 20 years, which in itself proves it is a trustworthy and reliable operator. Add to that Gambling Online Magazine's 'Top Online Casino' award from 2003 - 2006 and you'll see why they have over 2 million registered players. True, those awards came over a decade ago, but the reason Inter remains so popular with players is because they keep reinventing themselves. A recent re-design, coupled with the "New Game Wednesdays" commitment, shows that Inter aim to always stay a step ahead of their rivals. Though the banking options are a little limited, depositing is safe, secure, and easy. Their 24/7 Customer Support is excellent, with knowledgeable, polite and extremely responsive human operators always on hand. Despite being online since 1996, InterCasino has a fresh, lively, modern feel and we take great pleasure in recommending it to our players.